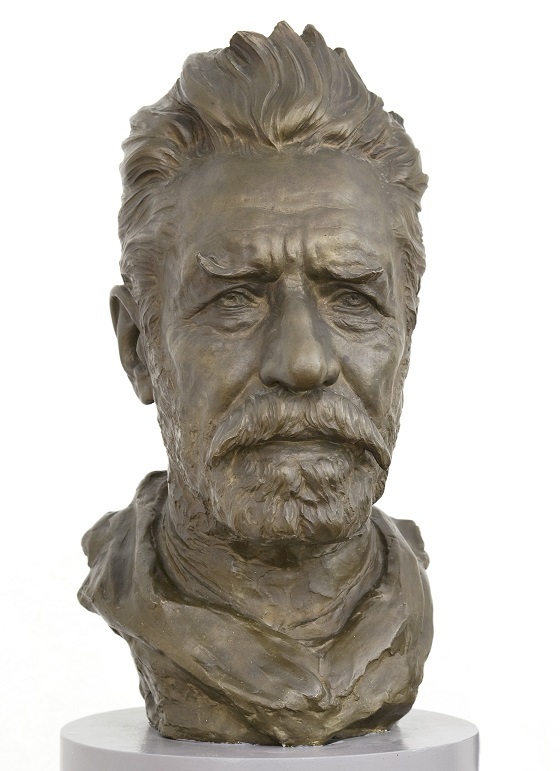 This is a bronze bust of the founder of The Nivaagaard Collection, Johannes Hage, where Ludvig Brandstrup took great care in depicting Hage’s facial characteristics. The sculpture is characterised by its serious and authoritative depiction of the aging landowner and museum founder, with the wrinkled forehead, worried expression and downward pull of the corners of his mouth. At the same time, the bust has been softly modelled in a naturalistic style, which gives it a bold, lifelike and vivid appearance. The bust is part of the group of portraits depicting prominent people that the sculptor worked on in his later career. At the cemetery in Nivåa, Denmark, a portrait bust identical to this one has been placed over his tombstone in memory of this champion and protector of the arts.